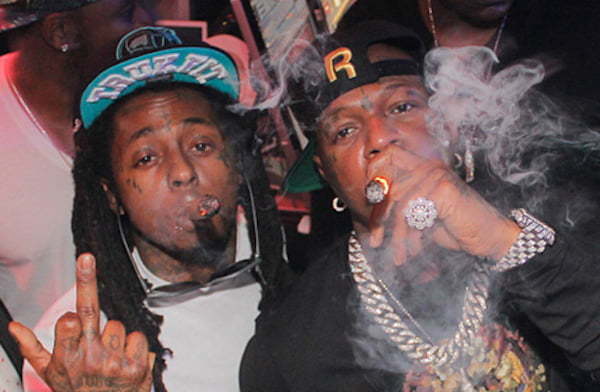 Lil Wayne manager Cortez Bryant is shedding some light on the reason why Birdman and Cash Money shelved Lil Wayne album Tha Carter V.
During an interview with Rap Radar, Bryant revealed that the album has been ready since 2014 and they were planning to release it for free but Birdman and other major label execs put the breaks on it. He also detailed that Lil Wayne was not paid his advances for the first single “Believe Me” off the album which was released two years ago. “Even then, Wayne was on some ‘I don’t like it but hey, we’re family’,” he said. Lil Wayne did aired things out on Twitter telling his fans back in December 2014 that Birdman and Cash Money are holding the album hostage and he want the label to release him from his contract.